I’ve been doing a number of small paint projects at home, using Annie Sloan Chalk Paint. According to the website, it is very easy to work with and rarely requires any prep, such as sanding or priming. It can be used on just about any surface – from wood to metal, and matt plastic to terracotta. I bought a small can each of red, blue and yellow, with a can of white too, and have been putting the many surface options to the test. 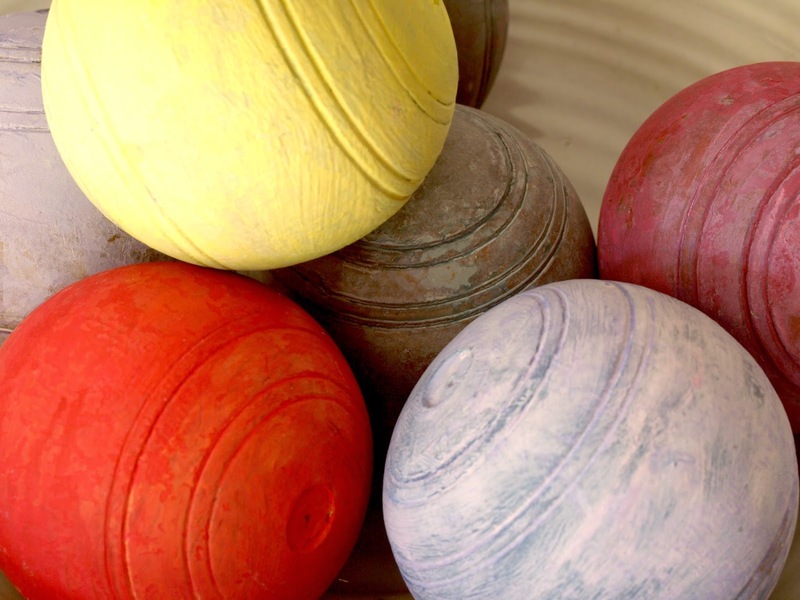 These vintage wooden bowling balls were a good place to start. I painted, mixed, thinned, washed and layered as the mood took me and I am so happy with the cheerful result. Annie Sloan is UK based, but is now being manufactured here in South Africa too. 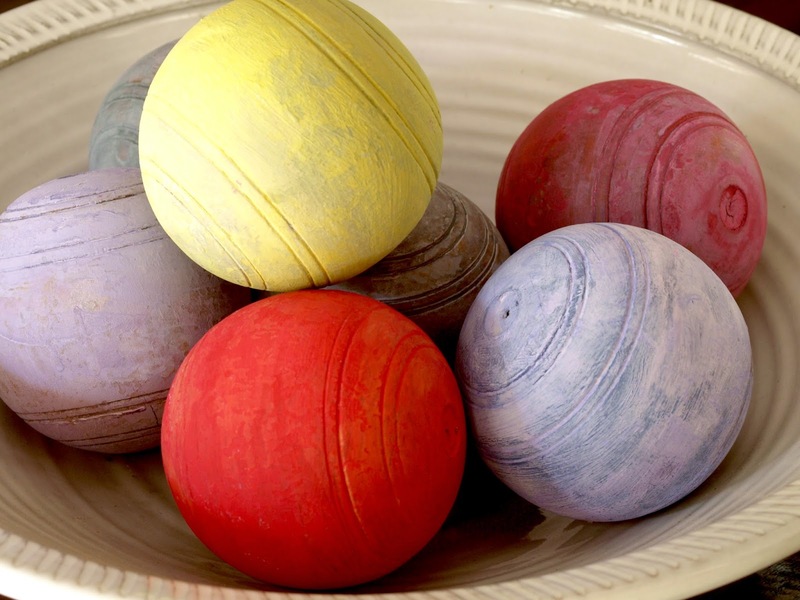 The Annie Sloan South Africa website has a list of local stockists It’s a brand with an fascinating story – Annie the artist who created her own Chalk Paint®. Mainstream paint stores turned it down, but it’s become a world-wide sensation being stocked by privately owned decor and craft shops. I bought mine locally at Loula in Hillcrest. La Maison in Durban North are stockists too. Go online for more practical info about the product. Did you see the Tablecloth we colour dyed with Annie Sloan Chalk Paint?